Once you start looking at semi-rugged notebooks, you typically have to start accepting some major tradeoffs, usually in the way of components, performance, and especially price. The Twinhead Durabook D14RY, however, demolishes that stereotype, offering a good array of features and respectable performance for a reasonable price of $2,099. This semi-rugged Vista notebook offers a design that can take a beating and a price that's hundreds less than the competition. Can We Break a Durabook? Twinhead, maker of the Durabook, has certainly put together a rugged notebook with the D14RY. They claim that the magnesium alloy used in the Durabook's chassis is 20 times stronger than plastic. Reality is that Durabook isn't the only notebook with some sort of Magnesium alloy, HP is among those that has been using the material in its notebooks. 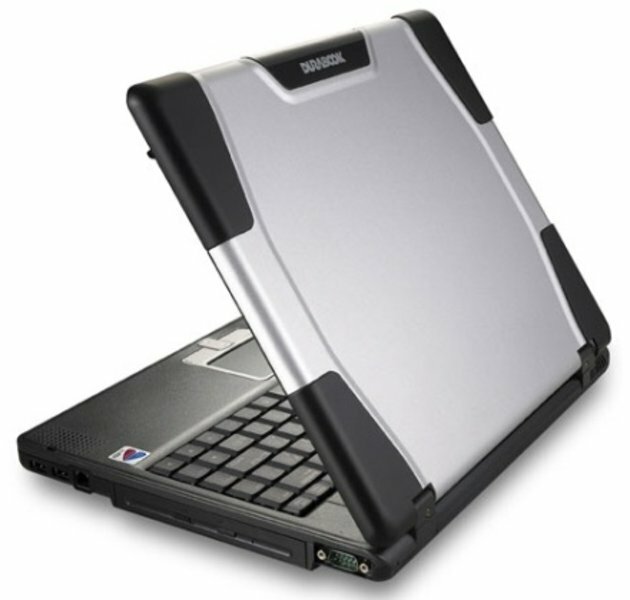 The extra shock protection on the corners' of the Durabook and around the CPU, RAM, hard drive and DVD drive allowed the notebook to survive Ben Meyer's and Shelton Romhanyi's assault (see video) but there are other 'rugged' tests that we didn't subject the Durabook D14RY too.